The Matson Halverson Christiansen Hamilton Foundation (MHCH) is the result of a successful multi-generational Farming and Ranching agri-business that spans over 100 years of South Dakota history. The history begins with immigrants from Norway and Sweden who, like many others, migrated to the Northern Plains region during the 1800s for a chance to farm or ranch. The Matson family initially settled south of Reliance, South Dakota. 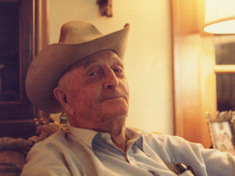 Matt Matson worked on the railroad and saved money to buy a ranch near Iona. Matt was later killed on his property by cattle rustlers. He and his sister Christine are both depicted in the novel “The Homesteaders” written by Kate and Virgil D. Boyles which tells the story of Matt’s murder and Christine tenaciously shooting out of the windows of their home all night to protect herself and an 8 year old foster child living with them for the summer. In the morning, the small child successfully escaped to find help. Later a posse was formed which captured the two men. This was one of the first cattle rustling cases in the state of South Dakota and established a legal precedent for how cattle rustling cases would be handled. Matt’s and Christine’s brother, Olin Matson, attended photography school in Sioux City, Iowa and later opened a photography studio along with other businesses in Kimball, South Dakota. The Halverson family settled north of Kimball, South Dakota in the late 1880’s and then moved to town after “proving up” their land claim. 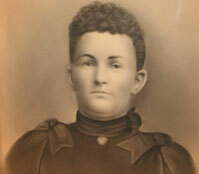 In the late 1890’s Halver Halverson married Christine Matson. Olin Matson, and Halver and Christine Halverson were all equal business partners and owners of the Kimball General Store. This is another testament to Christine’s strong willed and capable nature as it was very uncommon during this era for women to be treated as equals among men in any setting and most especially in business. The Halversons also owned a car dealership, implement business, and several buildings in Kimball. 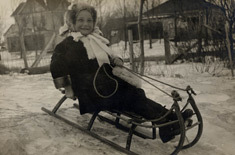 Halver and Christine had one child, Helen Halverson who was born in 1905 in Kimball, South Dakota. Helen graduated from the University of Wisconsin with a law degree in 1929. She worked for the Federal Land Bank in Omaha and would commute to Omaha once a week from Kimball as well as doing contract and probate work in her own office in Kimball. 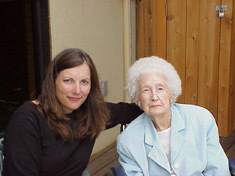 Helen spent a semester teaching at USD and also received a Masters in English from USD. Helen traveled the world on cruise ships in the early 1940’s. 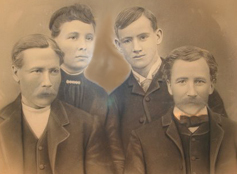 The Christiansen’s moved to Platte, South Dakota from Nebraska in 1903. 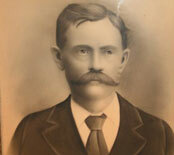 Dewey Christiansen was one of 11 children. He started in the cattle business in his early teens and had a reputation for being a very effective businessman. Dewey Christiansen and Helen Halverson married in 1953. Dewey and Helen had one child, Christine Christiansen who was born in 1955. Christine Christiansen attended Smith College where she received a BA in Philosophy and the University of Arizona where she received her MBA in entrepreneurship. Dewey Christiansen died in 1987 and Helen Christiansen died in 2001. At the time of their deaths the Matson, Halverson and Christiansen agribusiness consisted of approximately 33000 acres of farm and ranch land located in five counties in south central South Dakota. Dr. Edward Hamilton and Christine Christiansen married in 1998. They reside on their ranch near Oacoma, South Dakota, and have four daughters and five grandchildren. Dr. Hamilton is a veterinarian and former professor of veterinary science at SDSU. 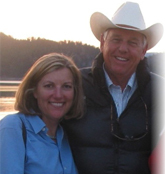 Christine continues to manage the family agribusiness which today consists of farming, ranching, and a wholesale meat business located in Las Vegas, Nevada. Their children and grandchildren make frequent visits to South Dakota and are involved in the family foundation. 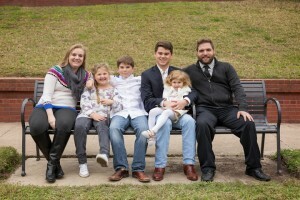 Their daughter, Corey, is the development specialist for the foundation.